A Harris County constable chief deputy who narrowly missed making the runoff in the Precinct 3 constable’s primary election earlier this month has sued the top two vote-getters, seeking to annul the results because of alleged violations of election law. 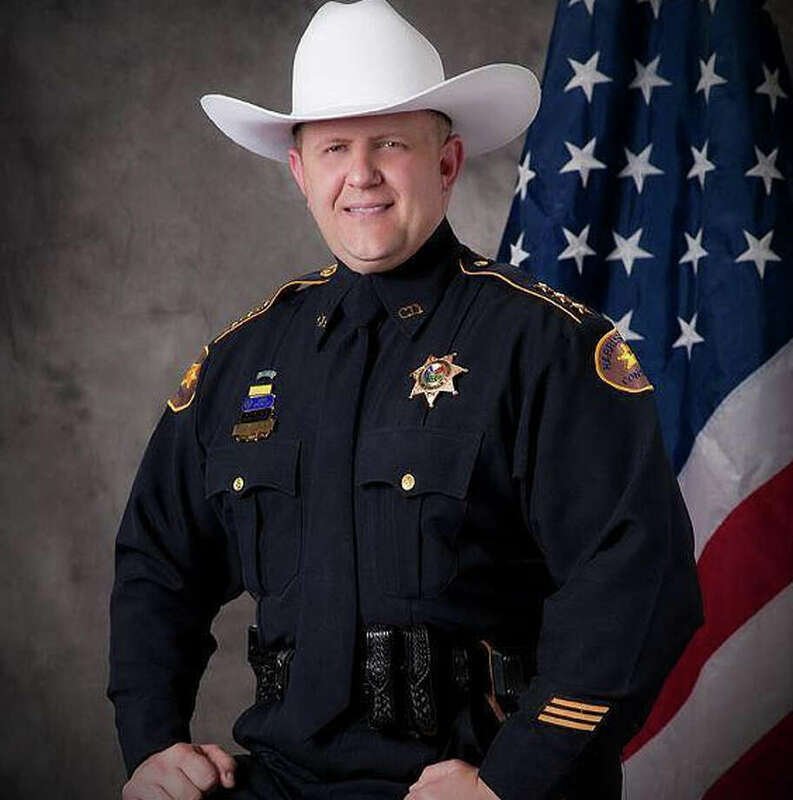 Jasen Rabalais, chief deputy over community services and the Harris County Joint Task Force for Precinct 3 constable, alleged in court papers last week that a campaign worker for Michel Pappillion, a candidate who beat him by 37 votes and edged him out of the runoff, illegally cast votes on behalf of some senior citizens. Sherman Eagleton was the top vote getter by more than 800 votes of more than 18,000 cast, while Rabalais came in third. Rabalais’ complaint states that the worker initially approached his campaign, offering to “deliver votes from seniors through special access to senior living facilities,” guaranteeing 1,000 votes, and Rabalais turned her down. Rabalais supporters noticed the worker at the polls wearing a Pappillion shirt and telling elderly voters that they had already voted, the complaint alleges. The Rabalais campaign confronted the worker, who told them she is a nurse, has access to nursing homes and gets seniors to “vote for that person who [she is] working for,” the complaint alleges. The complaint alleges the worker “deliberately falsified, illegally completed, or unlawfully influenced the ballots and early voting applications of elderly residents” in Precinct 3. The first thing I note is that Pappillion collected 324 absentee votes, ten more than Rabalais. The mystery woman “guaranteed” to deliver 1,000 votes, so either she greatly oversold her ability, or she was just lying. Regardless, note that Pappillion’s share of the absentee vote is right in line with his share of the early and E-Day votes. If he had actually gotten an illicit boost in absentee ballots, one would expect to see it reflected in the numbers. Granting that this does not disprove the possibility that he’d have done worse in absentee balloting otherwise, I don’t see anything to indicate that. Pappillion went into E-Day trailing Rabalais by 202 votes. He then collected 239 votes more than Rabalais, whose E-Day performance greatly lagged his early showing, especially his early in-person showing, to nose into second. When Rabalais says he noticed the Mystery Woman at the polls, does he mean early voting locations, or E-Day locations? In either case, assuming it was just her, I don’t know how many actual voters she could have affected in this fashion. Again though, if this really did happen, there’s got to be plenty of people who can testify to it. Note that even if we think there’s something funny about any of Rabalais or Pappillion’s numbers, there are oddball results elsewhere that seem to be to be just the vagaries of multi-candidate elections. James Lee Stewart had the second-best absentee ballot total, but dropped out of sight in the early in-person and E-Day totals. Isaac Villarreal came out of nowhere to post strong E-Day numbers, but was too much of a nonentity before that for it to matter. Maybe Stewart had a better mail ballot program, and maybe Villarreal had a better ground game, or the E-Day electorate was more heavily Latino. Who knows? Sometimes an odd result is just an odd result. So, my initial thought is that it is unlikely there’s anything to these allegations, but we’ll see what the Rabalais team shows the judge. If Rabalais can back up his claims – producing the Mystery Woman and some of the voters she influenced would be a good start – then good on him, he deserves redress. If not, then shame on him for giving Greg Abbott some cheap ammunition, even if none of this has anything to do with voter ID. We’ll see what the judge has to say. I know people were also pulling up signs. Knocking on doors and telling the residence that they needed thier sign, as they jerked thiers up and put Jasens down. I meant pulling Jasens up and putting thiers in its place..